Laurie Block Spigel homeschooled her two sons in New York City. Her older son, Kalman, was accepted into NYU Film School with a scholarship, after homeschooling through high school. Her younger son, Solomon, was homeschooled from fourth grade on. He was accepted to College of the Atlantic in 2008, and with his acceptance was awarded a Presidential scholarship and a grant for foreign studies. Laurie and her husband Jerry own Urban Spirit Gallery (formerly Indians On Columbus), specializing in Native American art and fine-art jewelry. See a page of Poems by Laurie. Homeschooling is something that happened to me. I did not choose it from the beginning as a lifestyle choice the way many others have. At first, I thought that school, supplemented with learning at home, was the best choice. But after Kalman had negative experiences in both public and private schools, we chose to homeschool him starting in the fourth grade. His brother, Solomon, was five and a half years younger. I didn't want him to feel that I was favoring his older brother, so I gave Solomon the choice every year: school or homeschool. At first Solomon felt that there was no better idea in the whole world than school. One place where everyone came together just to learn new things! Nothing could be better than that! And Solomon wanted to learn everything! So he started in school with pre-K. But by third grade he had doubts. The kids were less nice each year, and the teachers weren't very understanding either. Starting with fourth grade, he, too, requested homeschooling. From my own perspective, I was watching my younger son try to embrace many different things. He wanted to study dance and music (more than one instrument!) and more. After school we were racing from one activity to the next. We had no time to relax as a family. All of his down time was being spent in school, and all of his wasted time was there too. His teachers started telling me that he should quit performing, that his dance rehearsals overloaded his schedule and school had to come first. I didn't have the heart to tell my son that his school wanted him to give up the things he loved the most. When he asked for homeschooling I was actually relieved. I knew that he could continue doing just as well academically (if not better) at home, without having to sacrifice things like dance, music, theater and martial arts ... the things my son loved the most. After several years of homeschooling both boys I now have the hindsight to realize what a wonderful choice we made. Comparing our homeschooled education to a private school's, I think my children have done better. Even the poshest private school with top-notch facilities (that I could never duplicate at home) wouldn't allow my son to take four dance classes and three martial arts classes every week and study the piano too. Having the freedom to study what they want allowed both my boys to become experts in their chosen fields while still teenagers. They ended up having far more direction with far more clarity at a much earlier age than I had ever thought possible. The additional luxury of being able to learn at their own pace, instead of keeping up with a class of 35, put both my sons years ahead of their peers in subjects like math, Not only were they the envy of all their schooled friends (because they were learning what they wanted to learn, and allowed to do it in their pajamas if they liked), but they were providing homework help to their friends too! "But don't you want them to go to college?" the naysayers asked me when I announced our decision to homeschool. Much to everyone's surprise, instead of being a liability, homeschooling turned out to be a huge asset in applying to college. The freedom to focus on their interests, and the freedom to take their education out of the classroom and into the real world (through internships for example), has given each of my boys an incredible resume of experiences. Colleges look for diversity. A selective school may get hundreds applications from prep schools, but just a few from homeschoolers. For diversity, they might accept only one or two students from a given prep school, but the homeschoolers are a short pile full of desirables. Many colleges, in fact, make an effort to solicit homeschoolers and have special liaisons to help them apply. They know that homeschoolers tend to be more self-aware, more independent, better at self-study, and often more goal-oriented than students who have been kept in the confines of a traditional school. Although I am an alumna of Bennington College, I am a self-taught home educator. I was raised by two award-winning professors. My father, Haskell M. Block, taught comparative literature. When he retired, he was chairman of his department at SUNY Binghamton and had earlier created the first graduate program in comparative literature at the City University of New York. 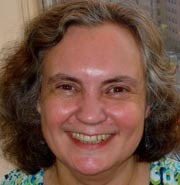 My mother, Elaine Carlin Block, was a professor of education at Hunter College. When I was young she often took me to her classes and asked me to act out what my teachers did, in order to give her students examples of what NOT to do! This experience gave me a unique perspective on education from an early age. I recall helping my mother to make kits to teach underprivileged kids (who couldn't read in the 6th grade!) how to read through art and music. My mother won a national award for this project, which she called Project Muse, and I saw kids who had sworn they would never read, not only read, but write, create, direct and perform their own musical production! At retirement age my mother became a historian specializing in the Middle Ages, and she relocated to Paris, France. In my childhood I often played teacher. When I was seven or eight years old I taught my little sister how to read (a fact that she still has not forgiven me for, since I was rather strict in my approach back then). As a teen and preteen, I taught art to neighborhood children, tutored remedial students in English, and was a widely sought after babysitter. Although I claimed to have no interest in teaching, I did part of my college work-study in their child development center. I have celebrated poetry and taught creative writing for most of my life, first as a volunteer in the NYC public schools, and then as a teacher of homeschoolers. Today I lead literature discussion groups, and teach playwriting, art history, and creative writing to homeschooled children of all ages. My approach to teaching is innovative and interactive, aiming at creative expression for each individual child. I employ warm-up exercises, brain-storming techniques, and word-play as part of a fun-loving entry into writing. Children learn about parts of speech, play with simile and metaphor, discuss human nature, talk about history and beauty, and become poets, readers and writers in the process. I have published several articles in the NYCHEA newsletter and other homeschoolers' newsletters, and have been one of the top-rated speakers at the widely-attended NJ Unschoolers Conference and other homeschooling events including NYCHEA meetings and the annual AERO Conference. Popular lectures include "How to Teach Writing K to 12: From Poetry to the College Essay"; "How to Become a Historian, and Have Fun in the Process" and "Beyond Your Four Walls: How to Use Your Everyday Environment to Enrich your Child's Education". I act as a mentor to homeschooling parents and work as a consultant to families and educators, offering advice on child-led learning, curriculum choices, and individual educational dilemmas. In 2009, I published Education Uncensored, which contains more details of my personal story, and tips and techniques on teaching every subject to every age. In August and September of 2011, I traveled to Sydney, Australia, where I worked with homeschooling families, gave workshops, and taught classes. I continue to be inspired by children everywhere! Learn about Laurie's Classes and Lectures.